While Linda was maneuvering for the perfect photo, she accidentally dropped her sunglasses into the Capitol Reflecting Pool, but managed to retrieve them. 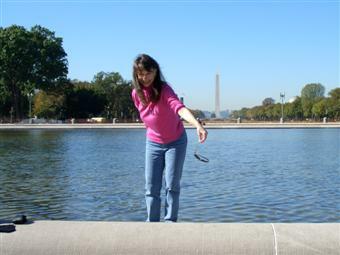 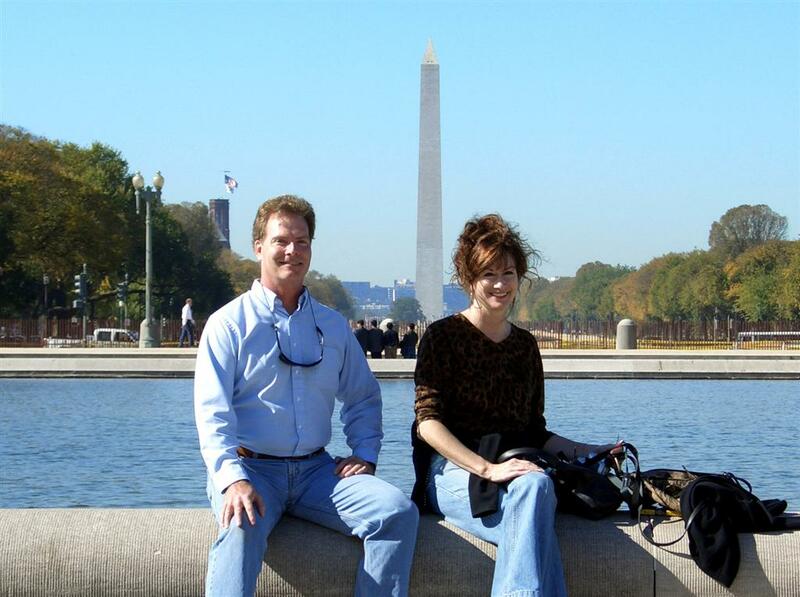 While Linda was fishing for sunglasses, we rested on the edge of the Capitol Reflecting Pool. 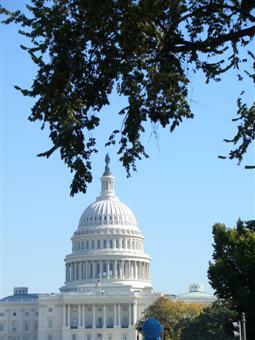 You might as well get used to the fact that there will be lots of photos of the Capitol! 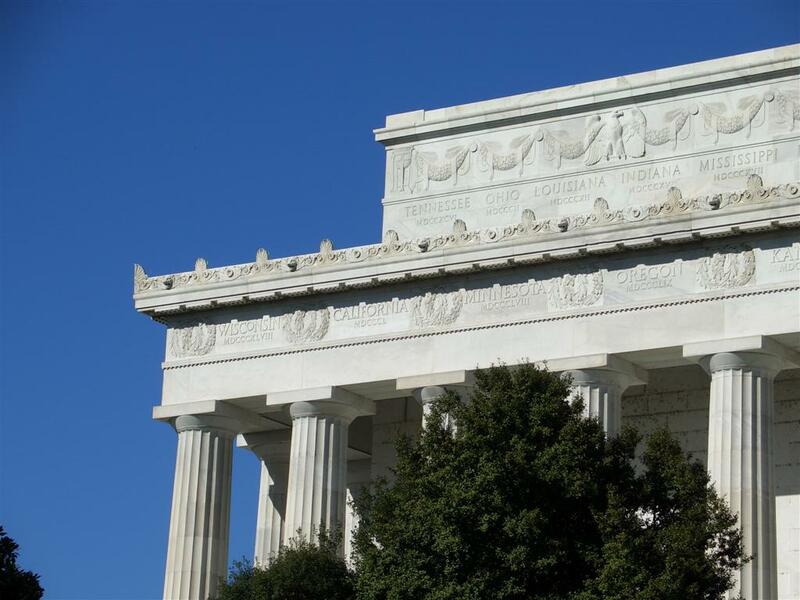 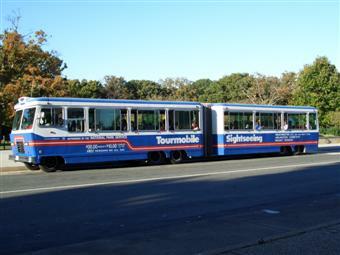 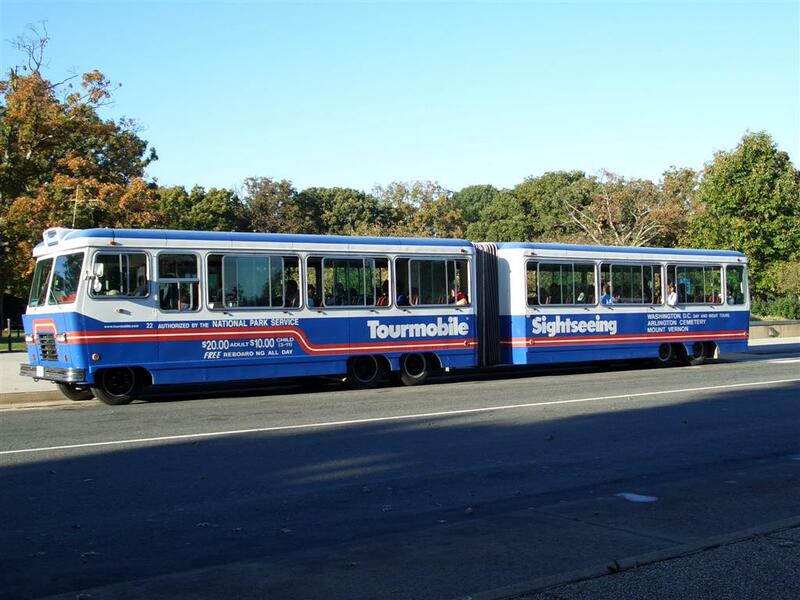 We hopped on a Tourmobile tram for a quick overview of the National Mall, and for the long ride over to Arlington National Cemetery. On the tram ride, we had this glimpse of the Lincoln Memorial, showing the states names around the top. 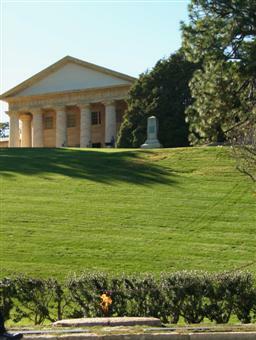 There's California! 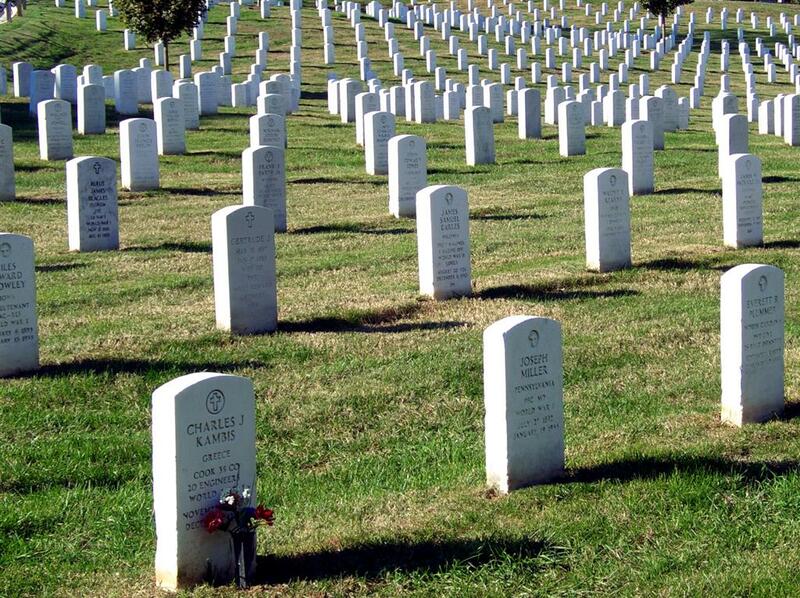 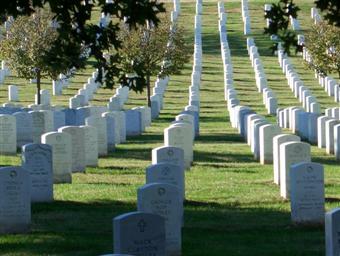 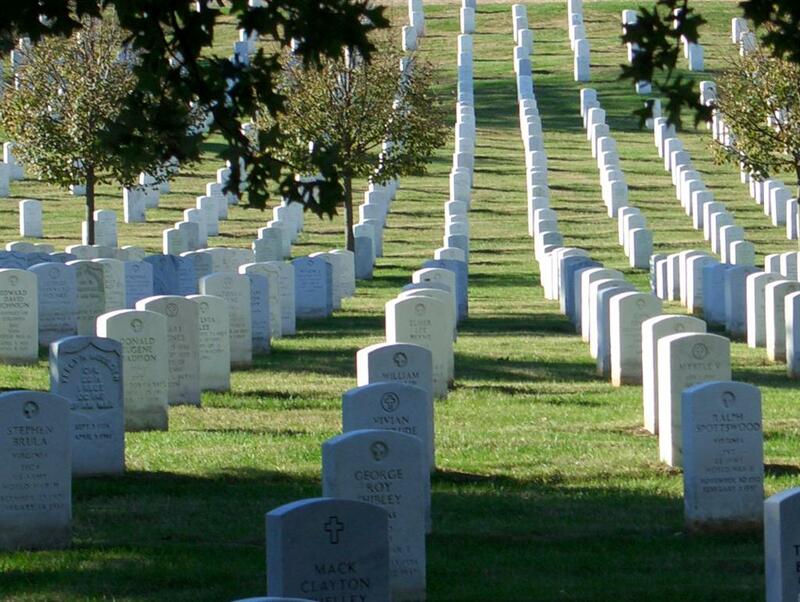 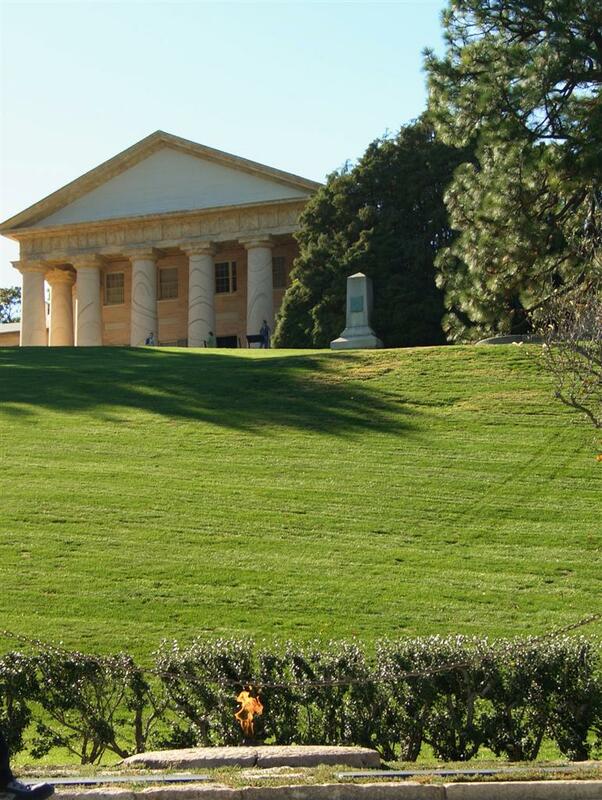 Upon arriving at Arlington National Cemetery we were awed by the endless rows of headstones. Some of the nearly-identical graves were graced with fresh flowers. This Eternal Flame burns at the President John F. Kennedy Gravesite.